Larry D, Snyder, MAI has experience in the valuation of healthcare, commercial, special use and investment grade properties throughout the United States. Mr. Snyder’s valuation experience includes determining Market Value for lending purposes, ad valorem purposes, allocation of purchase price and Fair Market Value for Stark Law compliance and internal planning purposes. Mr. Snyder has performed valuation assignments for numerous healthcare-related entities. Clients served include: Medical Properties Trust, Inc., Hospital Corporation of America (HCA), Community Health Systems (CHS), CHRISTUS Health, USPI, Centura Health, Bluefield Regional Medical Center, McLeod Health, Blessing Hospital System, Marshfield Clinic Health System, Hospital Sister’s Health System, Ascension, Beaumont Health, Bon Secours, University of Utah, Seavest Healthcare Properties, and Alliance Oncology. 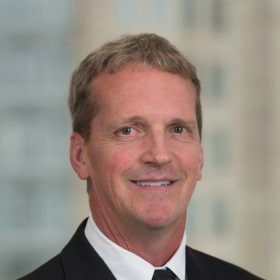 Mr. Snyder has also provided valuation services to a variety of healthcare law firms, including Kutak Rock LLP, Moore & Van Allen PLLC, Hall Render Killian Heath & Lyman, P.C., and Reed Claymon Meeker & Hargett, PLCC. Types of medically-oriented properties analyzed include: cancer clinics, medical offices, ambulatory surgery centers (ASCs), diagnostic imaging facilities, micro-hospitals, acute care hospitals, rehab hospitals and skilled nursing facilities. Mr. Snyder’s valuation experience also includes non-healthcare properties such as: vacant land, leasehold analyses, and various triple-net leased properties.